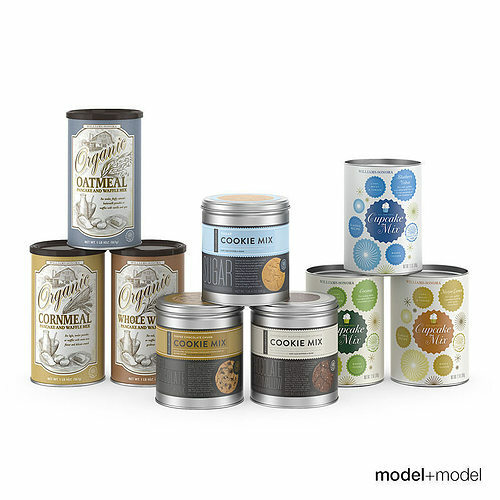 High quality 3d models of baking mix cans. The set includes 9 different cans. The models are made with much attention to details. They have reasonable amount of polygons and accurate grid. This model is one of other great models that goes together in the Vol.09 Kitchen accessories. The Volume you can find on our website modelplusmodel.com.